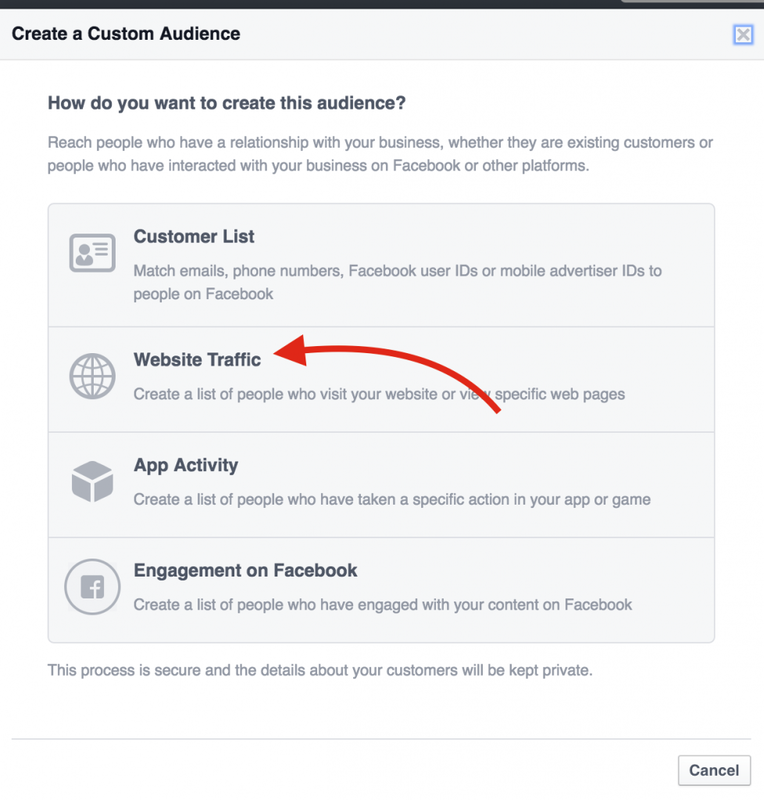 Are you using Facebook ads yet? 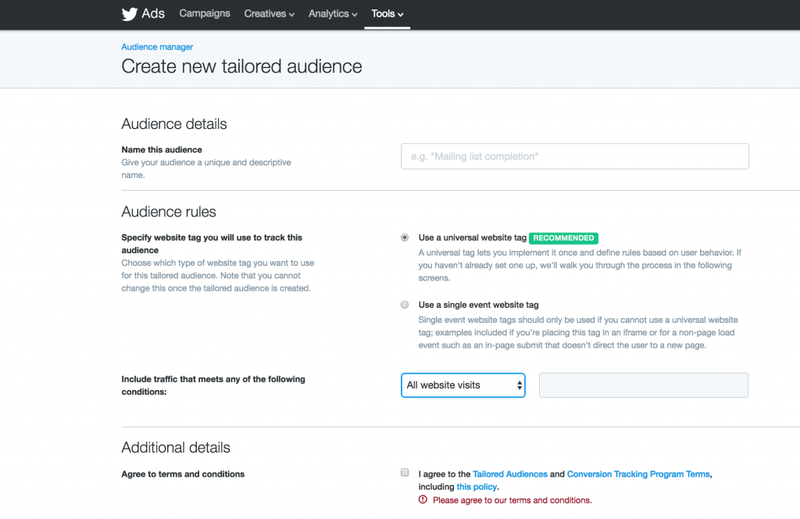 What about ads on Twitter? I’ve been using them for the last couple of years and it has helped me with selling my eBooks, my affiliate SEO course, and building an email list at a very low cost… And that’s just how I’ve utilized them for THIS blog, not to mention my other sites & projects in which I’ve managed to make some serious bank off a very small investment. Sometimes I put a lot of thought and time into targeting. But that can be a real buzzkill. What if I told you, there’s a way to run very targeted ads without putting much thought into it at all? You’d probably think I was mad. To be honest, I would have probably thought that too before some of my buddies showed me their results. However, you can easily place ads in front of the right eyeballs without doing any research at all. For those of you that aren’t familiar with retargeting, it’s where someone visits your website and then you’re able to virtually follow them around the internet. It allows small companies to look bigger than they really are. Hell, even some of the largest companies around are killing it with retargeting. That’s because retargeting works extremely well. It’s putting your ad in front of people that have already checked out your website and have some idea who you are. This means they’re somewhat interested in your product or what you have to say. Simply asking them to come back is more than enough to do the trick. 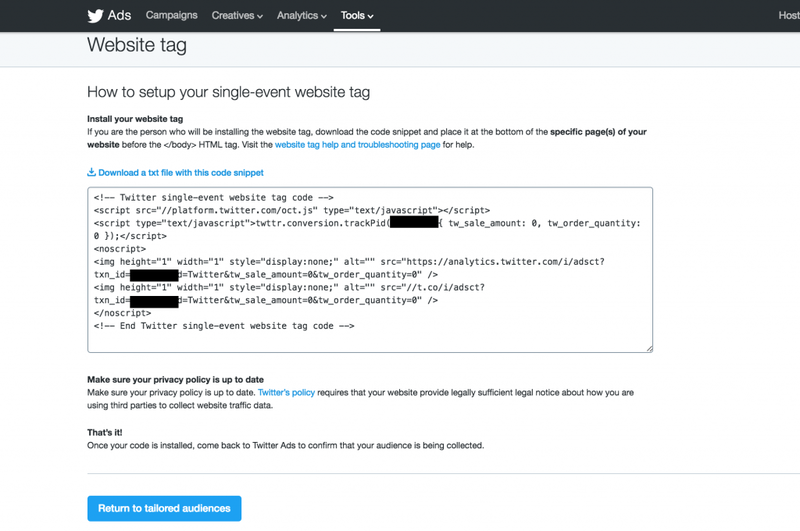 In this article, I’m going to break down (step by step) how you can setup retargeting on both Facebook and Twitter (with screenshots!). This guide is going to be straight to the point, no fluff, as per usual with my blog. Step 6. Install it on your website. You can either do this manually by placing it between the <head> and </head> in your website’s code, or if you’re using something like WordPress, then get a plugin that can manage your pixels for you. There are a lot of them out there, but here’s one you can try. Step 8. 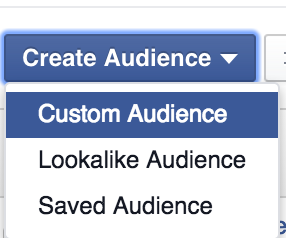 Create the Audience in Facebook by clicking the Tools tab and selecting Audiences. There are a lot of options you can select here. I recommend you play with them later to find what works best for you – Though making sure you have it set to 180 days (which is the maximum you can have) is heavily advised. 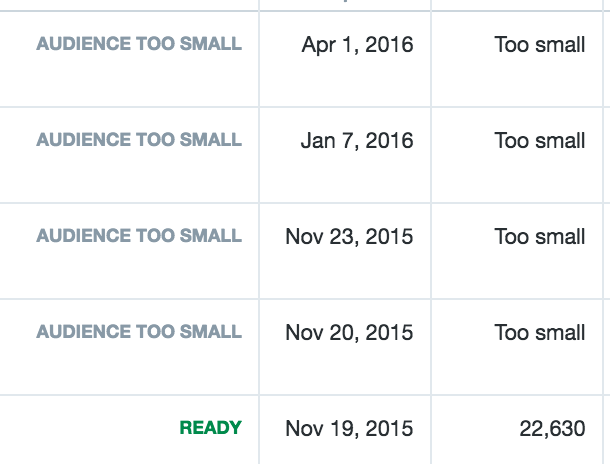 Initially your audience will be “too small”. 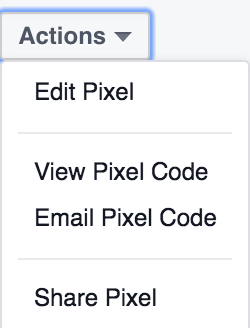 When you get more than 100 unique hits on the pixel from Facebook users, it will change to Ready. But yes, you can start with ads right away, before it’s “Ready”. Step 15. 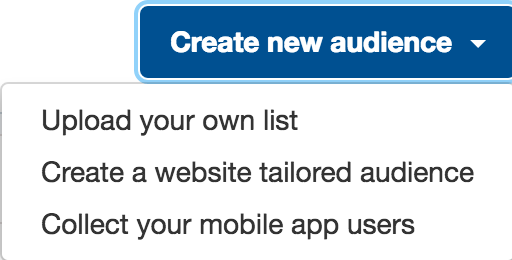 Create your ad with the new custom audience. 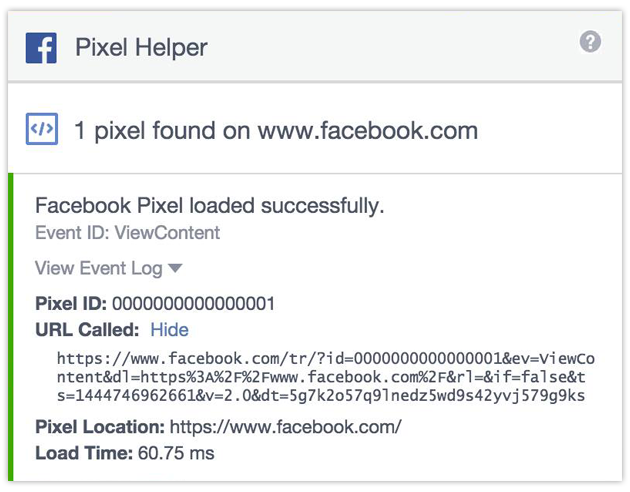 If you follow these steps, you should be able to easily get your Facebook retargeting ads going. Even if you’re a complete novice to Facebook ads. For a more advanced guide from a monster power user, check out this article. I’m going to preface this guide by saying that ads on Twitter are generally a lot more expensive than Facebook. Even with retargeting. But if you want to appear to be everywhere, you need to know this information. 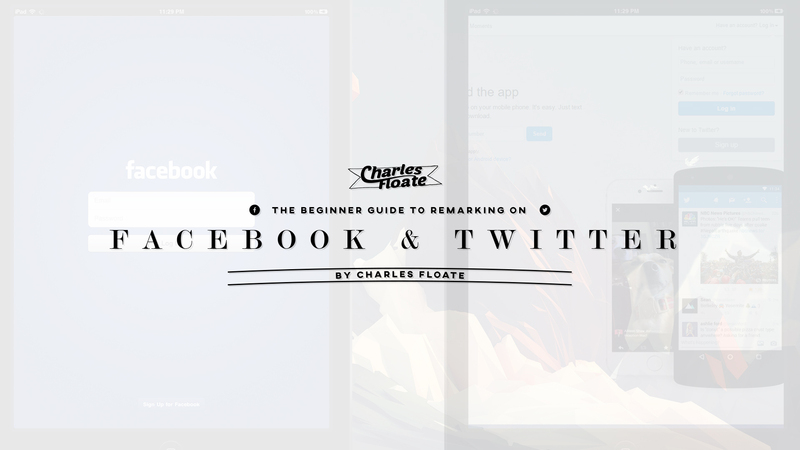 Same as with the Facebook guide above, I’m going to skip the fluff and dive right into it. You can visit the Twitter help articles to find out how to get started with their ads. 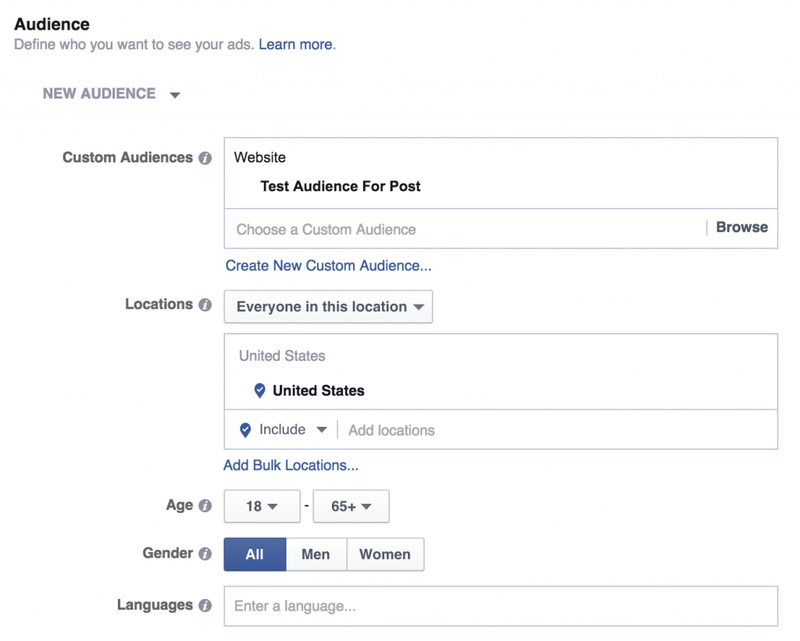 Just like with Facebook audiences, you have more options to play with here. Step 6. 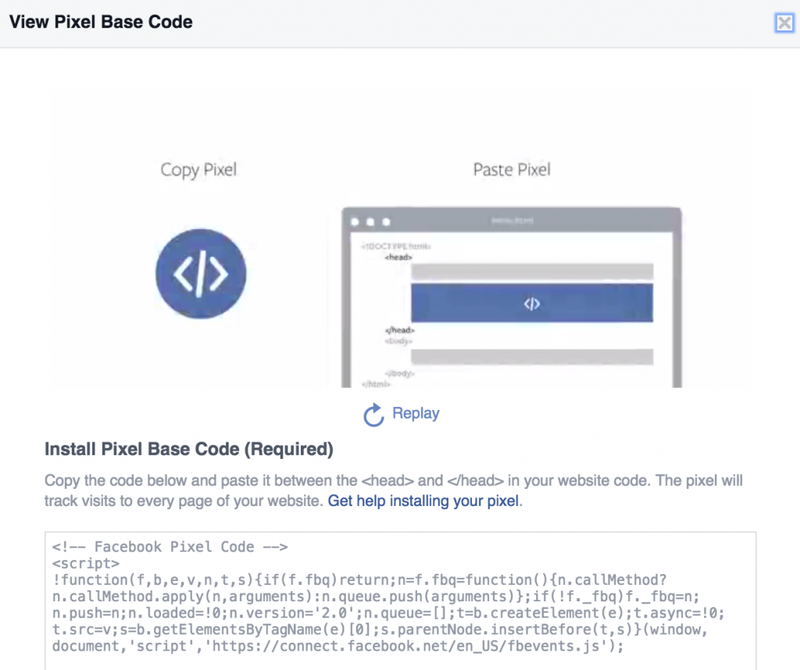 Copy your pixel code and place it in the body of your website. For WordPress users, you can use the same plugin mentioned earlier in order to manage this. 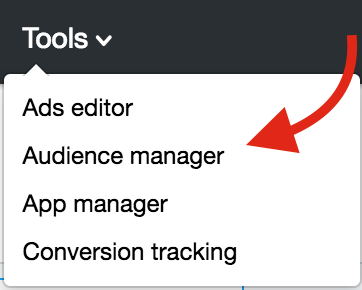 You can also go back to the audience manager and check your audiences. If it’s less than a few hundred, Twitter will say it’s too small. 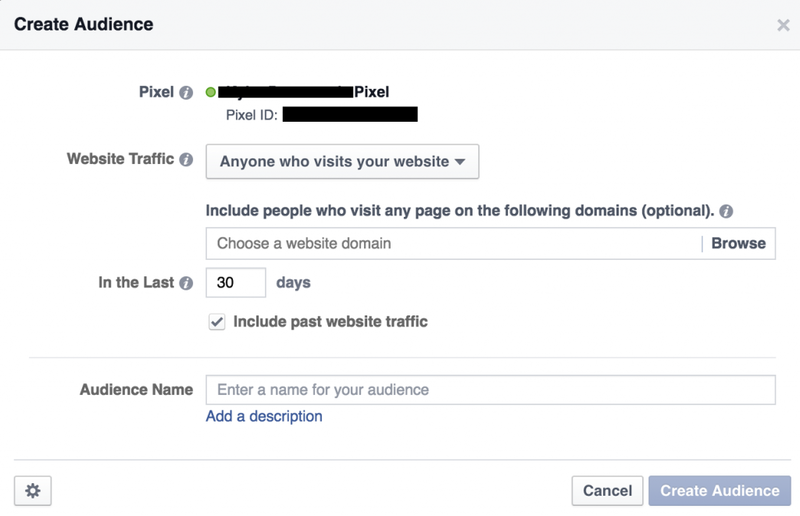 Just like with Facebook, you can still target these “too small” audiences. I skipped the fluff and this post was still pretty long. I know it may seem like a lot and hard to do, but overall it’s pretty simple. You can make it a lot harder and complicated if you want to, or you can just use this guide to help you get started. I tried to write it with beginners in mind. If you don’t have the time to make all this work, or you don’t want to mess around with it, there is an entire industry built around doing retargeting for you. Facebook even has a directory of recommended partners. Keep in mind, they are not free. This post was specifically for Facebook and Twitter retargeting. 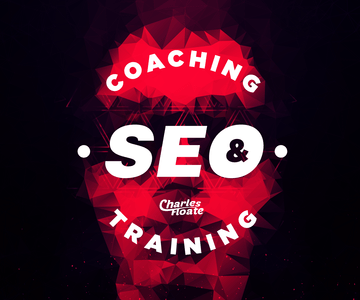 I will work on a post for remarketing on Google AdWords using the Display Network at some point, though as a lot of you will know.. I’m not the biggest fan of AdWords. So what do you think? Can you take advantage of retargeting on these platforms to make the most out of your advertising dollars? What about this article format with screenshots? Let me know in the comments below! Nice to the point guide as usual Charles. Recently set this up myself. Great job Charles, didn’t even know Twitter was in the ad retargeting business also. 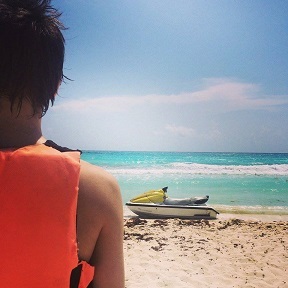 Wonder what else they into this days:). The visual illustrations are really helpful, makes it easy to follow.